In 2018 I attended a workshop hosted by Richard McKinley at San Miguel Allende. We painted for 7 days and I had a fabulous time. I took my wife in 2019, stayed at the same hotel, Casa de la Noche, did not paint, but visited art galleries, studios, artists and sketched. The hotel is 3 blocks from the city center, which has lots of restaurants, shops, and great Spanish architecture. The hotel has 14 fantastic rooms, with courtyards, decks, and a painting studio that will hold 12 painters. I am going again in 2020, staying at the same hotel, but I will be painting this time. I have asked PSSC members if they would like to join our group to paint, and the owner of the hotel has offered to host a art show. I am not an official host for this event, but I will organize events for each day, such as painting locations that we can walk to, traveling to other beautiful painting spots by taxi. We will visit art galleries, artist studios and visit and paint the best of San Miguel. I think we have about 5 artists signed up already, and will be looking to have another 5 artist before the date, Jan 11 to 17, 2020. If you would like more information, please email at mike1sh1@aol.com. You can also call the hotel at 831 373-8888 , ask for Barbara the owner, about Mike Ishikawa’s painting group. Look at the web site for the hotel “Casa de la Noche”, or visit the web site for the town of San Miguel Allende, and see the wonderful sites. William A. Schneider, AISM, IAPS-MC, OPA, PSA-MP, works in oil and pastel. His skills were honed during eight years at the American Academy of Art’s Saturday Program in Chicago where he studied figure drawing and pastel with Bill Parks and oil painting with Ted Smuskiewicz. He continued his education through workshops with masters like Carolyn Anderson, Dan Gerhartz, and Richard Schmid. He learned his advanced pastel techniques in studies with Harley Brown. To learn more about William Schneider and the workshop, click here. Focusing on color and light, Sally discusses optical mixing of layered color and how to truly see and identify color, especially subtle color. The effects of light on color, composition, and perception, as well as use of different types of light are explored. Painting from costumed models and still life, each student receives individual attention and critiques. Demonstrations, lectures and a slide show are designed to give students tools to achieve intensely beautiful color. Master Class/Next Level (Intermediate and up) — If you have taken Sally's workshops before and want to build on the numerous principles discussed, this new class continues where the previous workshops left off. It begins with a review of painting principles including optical mixing of layered color, essential elements of strong composition and the effects of light. We also focus on the later stages of painting, learning to harmonize color masses while developing the ability really see and mix color, especially those that are nuanced and subtle. Finally we will explore the finishing touches that turn paintings into personal statements. Sally Strand, a Master Pastelist, was inducted into the Hall of Fame, the highest commendation of the Pastel Society of America, NY . Showcase the Color of Light! In this step-by-step workshop, Otto Stürcke shares time-honored techniques in combination with contemporary techniques to achieve effects to your fulfillment. Class will include morning lectures on different application approaches to suit your style along with key academic points to always keep in your art journey toolbox: Things like the importance of value, the visual phenomenon known as simultaneous contrast, the principles of light on objects, the misconception and versatility of the pastel medium, and the importance of composition and storytelling. Students will dive into fun instructional activities and continue to work on their own pieces from provided photo reference and still life set ups. Otto Stürcke will demonstrate the versatility of the pastel medium through a variety of applied techniques and tools. This class is great for beginners to advanced alike since much of Otto’s teaching involves breaking down art theory and putting observation into practice through fun and informative workshops. UART paper will be provided to each student. Coffee, water, fruit and pastries will be provided in the morning for all attendees. Join me this June 24th - July 1st for a paint along (non-instructed workshop) in beautiful Southern France. In addition to all the beautiful French Scenery, at this time of the year the lavender and sunflowers will be in full bloom! Last year, we had a group of 15 people who all agreed that it was a wonderful experience. Time to get your deposits in NOW! Any question? Don’t hesitate to contact me…. Join members of the Red Rock Pastel Society Of Nevada for their very first meeting on Sunday, December 2nd. Show support for this fledgling pastel society by attending their first member’s meeting! There will be complimentary valet parking and refreshments will be provided. RSVP on the website, or by contacting Dasha Jamison. This will be Rejoice in Art!’s 1st fair workshop! As an added attraction … at this Rejoice in Art! 4th Annual Fine Art Fair and Exhibition, they are offering one lucky guest a chance to win a workshop spot! For your chance to win a spot in Otto Stürcke's Tips and Techniques Pastel Workshop, simply drop in during the Fine Art Fair on October 13 or 14 and purchase Opportunity Drawing tickets for $5 each or 5 tickets for $20. During those two days, your opportunity drawing tickets can be placed in different boxes to win all sorts of great prizes including original art! These tickets will not be sold online. The drawing will take place at 4pm on October 14 and winner need not be present. For more information or to buy your spot now in Otto Stürcke's pastel workshop, go to sturckestudio.com. Join us for a group show of selected works from members of the Pastel Society of Southern California! Download the Show Postcard here. Closed Sundays. Other hours by Appt. This event will be focused on the artist, providing an enjoyable and profitable experience from start to finish. Spaces are limited (10’ x 10’ area) and artist’s must provide their own pop-up tent. If you are interested please click on the link, complete the form and send in by Friday, August 31, 2018. We will be contacting selected participants by Sat, September 8 and provide further information/instructions. Please see the attached PDF below for more information. The Brentwood Art Center advanced pastel students and their instructor, Zahra (Sophia) Pezeshk, invite you to visit a showing of their art at the Bruce Lurie Gallery. Sally Strand is one of two living artists invited to exhibit in "Drawing on the Past: Works on Paper" at the Irvine Museum Collection. Her painting "Windows" will be displayed alongside drawings, pastels, watercolors and etchings by iconic California artists. Sally Strand is included in the exhibition "Pastels! ", a pastel invitation at Laguna Beach City Hall. Her painting Man with Yellow Towel is one of four images from her personal collection on display. Sally Strand has been juried into the 46th Annual Exhibition of the Pastel Society of American in New York City opening September 4, 2018 at the National Arts club. Pastel Society of Australia Inc.
Australia's first pastel convention, the 'Pastel Expo 2018', is underway! A fun-filled 4-Day Expo including pastel workshops, demonstrations, lectures, trade stalls, paint-outs, plein air sessions, Master Pastellist exhibition, and so much more, will be on offer all under one roof. Desmond O'Hagan is teaching two international workshops in 2018 and 2019 beginning with Italy in 2018 and followed by Scotland in 2019. These are both incredible places to visit and explore for painting in pastels or oils. Please join us for a great art experience! Below is the contact information for the workshops, including links for complete information. Please contact Winslow Art Center, Jack Richeson & Co., Inc., or Desmond O'Hagan with any questions. In March of 2018, Desmond was awarded Eminent Pastelist status by the International Association of Pastel Societies (IAPS). This achievement is the result of accumulated points earned from acceptance in IAPS international juried exhibits and awards won. Currently, there are only twelve pastel artists worldwide with this designation. October 15-22, 2018, in Umbria, Italy. For more information, phone Martha Jordan (Winslow Art Center) at 206.715.6663 / marthann210@gmail.com. May 5-15, 2019 in the Scottish Highlands in Scotland, UK. Hosted by Jack Richeson & Co., Inc. For more information, contact Colleen Richeson-Maxey at 920.738.0744 or 800.233.2404 / colleen@richesonart.com. O’Hagan was born in Wiesbaden, Germany, and was raised in the United States. He enjoys working in several media, but his primary focus is in pastels and oils. Although he appreciates many different forms of art, his main interests include the paintings of several late 19th century American, French, Spanish, and Russian painters. Continuous study of these painters has had a strong influence on O’Hagan’s own art. Constantly challenging himself has translated into a fulfilling career in fine art encompassing several one-man shows and participation in group exhibitions in the United States, Japan, China, Canada, and France. O’Hagan is listed in Who’s Who in American Art, and is a Master Pastelist with the Pastel Society of America. 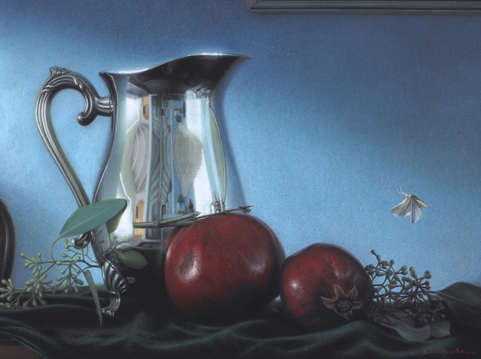 In 2005, he was inducted into the International Association of Pastel Societies’ (IAPS) “Masters Circle.” O’Hagan has won several awards in national and international exhibits including IAPS convention exhibit’s Prix’d Pastel Award, “Southwest Art” magazine’s Award of Excellence at the “Altitude & Attitude” Exhibition in Denver, CO. He has also won the George Innes, Jr. Memorial Award from the Salmagundi Club in New York City, and awards from the Pastel Society of America’s annual exhibits. In September of 2016, O’Hagan was invited to exhibit, conduct workshops and seminars, at the 2nd Biennial China International Pastel Exhibition in Suzhou, China. In December of 2016, F&W Media released four new instructional DVD’s by O‘Hagan; two instructing in pastel painting, and two instructing in oil painting. In March of 2018, Desmond was awarded Eminent Pastelist status by the Board of Directors of IAPS. His paintings have been the subject of feature articles in numerous national and international magazines including The Pastel Journal, American Art Collector, Southwest Art, The Artist Magazine, International Artist,American Artist, United Airlines’ Hemispheres magazine, Pratique Des Arts (France), Artists and Illustrators (England), International Artist (Australia), and Gekkan Bijyutsu (Japan). He is also represented in four books. O’Hagan’s art is in public and private collections in the United States, Japan, China, Canada, and Europe. He is represented by galleries in Santa Fe, NM, Charleston, SC, and Desmond O’Hagan studio, Denver. Desmond will also be with us at Destination; Art September 14, 15, and 16 from 9:30 - 4:00 for an exciting workshop! Tuition is $375; registration is at: www.destination-art.net under classes! The deadline to enter is June 17, 2018 at 11:59 pm. This competition will be juried by our own Sally Strand! Accepted pieces will be announced on June 26th. Winners will be announced July 2nd. Winning artwork will be displayed on UART website’s homepage as well Facebook Banner. Plus a special Facebook mention. The El Segundo Art Association is having their annual show. If you are interested in showing, check out the website. This happens in just a few days, so don’t delay if you are interested. The website for the El Segundo Art Association is elsegundoart.wordpress.com. All the necessary info is there if people are interested in the next show. Dates, forms, etc. The TOCA 2018 Fine Arts Juried Show recognizes the best in original mixed media arts. 80 artworks will be selected from the prestigious field of artist entries to be included in an exhibition at the 23 June 2018 Southbay Festival of the Arts. Nationally recognized artist and Awards Judge Otto Sturcke will select the top 4 artworks to receive the TOCA 2018 Best of Show, Gold, Silver and Bronze Awards. The exhibition is open to all representational artists worldwide in any two-dimensional Media, excluding photography. On the Onlinejuriedshows website scroll down to the “TOCA 2018 JURIED SHOW” exhibit listing and click “Enter This Show”. The Palos Verdes Peninsula, and South Bay Sunrise Rotary Clubs present the Fifth Annual South Bay Beer, Wine and Art Festival featuring many wineries, breweries, restaurants, artists and entertainment, plus a silent auction and opportunity drawing. Our guests are from Torrance, El Segundo, the Beach Cities, the Palos Verdes Peninsula, San Pedro and surrounding South Bay and Harbor area communities. The South Bay Beer, Wine and Art Festival is a major fundraising event. The event will be held on Sunday, May 20, 2018, at Ernie Howlett Park in Rolling Hills Estates from noon to 5:00 p.m. The Festival starts at noon for VIP ticket holders. General admission will begin at 1:00 p.m. We are expecting over 2000 visitors. We are locating the artist’s booths throughout the other beer, wine and food vendors. This should keep a fairly active crowd right in front of your booths. You should expect a very receptive crowd at this event for viewing and appreciating your art. Please find attached a participant application for the 5th annual South Bay Beer, Wine and Art Festival. We have only 20 artist spaces for this event.We will accept applications on a first come first served basis. As we receive your applications, and you are approved, you will be included in the show until all spaces have been filled. We invite you to submit an application for consideration. We will review and consider all applications (including photos of your art and exhibit space) to ensure the quality of our event. We will advise applicants whether or not they have been accepted into the show upon application approval. If you have any questions or need further information, please fee free to contact me at cmsdesignphoto@aol.com. 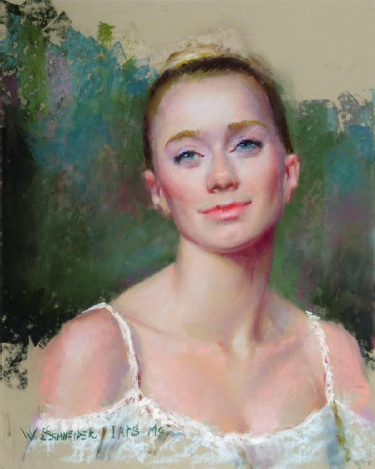 In this workshop I share my technique of portrait painting in pastel on sanded paper which includes underpainting in watercolor and ink. The focus will be on seeing and painting correct proportions, values and edges. You will learn how to create vibrant skin tones with color temperature changes and layering. We will talk about the most common mistakes (such as hair and teeth for example) and how to avoid them. Since the class size is small you will receive lots of one-on-one attention at your easel. You will leave the workshop knowing how to see the correct values, check angles and pay attention to lost and found edges in order to achieve a great likeness. Each day I will demo the next step before you will work at your easel. This class is best for students with at least some experience drawing portraits AND/OR working with pastel. Download the complete prospectus here. The Pastel Society of Colorado is honored to have Marla Baggetta instructing a three day summer Pastel Workshop at PACE in Parker, Colorado. PACE is a state-of-the-art facility located on Parker's historic Main-street, offering the best of touring acts as well as local performances, exhibits and educational programs. Emphasis will be on pushing boundaries while considering the fundamentals of painting; design, value, color and edges. Stop being a slave to your reference material and break through to paint like you've always wanted to paint. Learn to paint like a poet, not a novelist and unlock your true potential. Take the journey into new territory and move towards your own unique voice as an artist. Beginner to advanced students welcome. Loosen Up + Expand is a follow up to Marla's popular workshop Loosen Up workshop based on "100 Variations", a pastel series featured in Pastel Journal, which marked a shift in Marla's career and became a metaphor for her life as an artist. (The workshop is listed at the bottom of the page).